A summertime favorite is simply relaxing or splashing in the pool to cool off from the scorching summer heat. Kids especially want to spend time in the water so it’s up to adults to find both a safe and suitable pool that kids can enjoy themselves in. 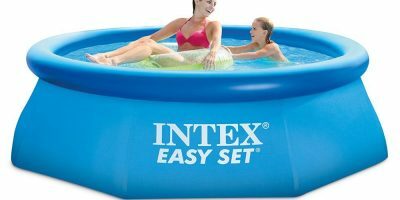 Intex has a huge variety of kids pools, with their Rainbow Ring Inflatable Play Center being the most popular of their series. The sprayer is able to connect to a hose to keep the kids cool, but be careful not to keep it running since it can waste quite a bit of water. 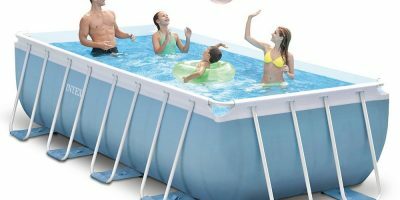 The pool can hold up to 77 gallons of water and weighs no more than 15 pounds. It unfortunately doesn’t come with an electric pump so it might take a bit of effort if you decide to use a hand pump, or you can buy an electric pump separately for an easier time. You can see how a user set up his pool by checking out the video below. 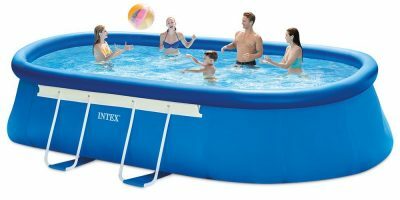 The Intex Rainbow Ring Inflatable Play Center can be used as a starter pool for small children up to 8 years of age being that it’s shallow enough for safe swimming. 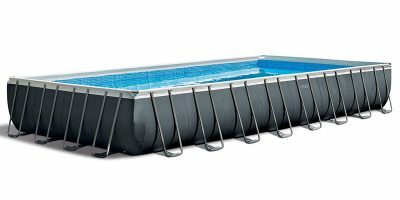 Many also use this pool as a ball pit when the pool season is over for extended entertainment. 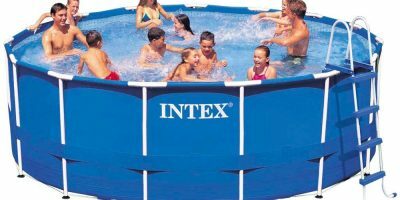 The price of Intex kids pools ranges from $30 to $150 depending on size and shape. 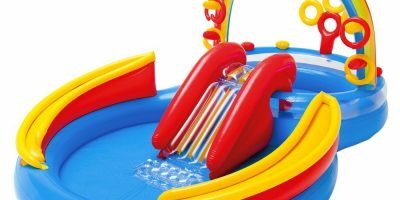 Based on quality and price, the Intex Rainbow Ring Inflatable Play Center is a popular addition to the backyard where the kids can enjoy themselves for hours on end with its many features. 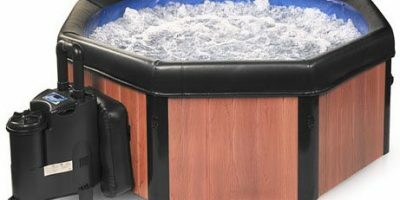 With a water sprayer, wading pool, a water slide and more, you and your family can find a lot of fun with this pool after inflating all of its parts. If you have little ones that are learning how to swim, the pool can also serve as a starter pool since it’s shallow enough for safe play.